The Historical Society’s Book Club will next meet on Tuesday May 22 to discuss an influential classic: Uncle Tom’s Cabin by Harriet Beecher Stowe. 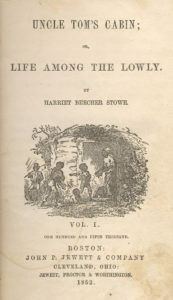 Published in 1852, Stowe’s book is a fictional tale about a long-suffering enslaved man and the people around him, and focuses on the immorality of slavery. 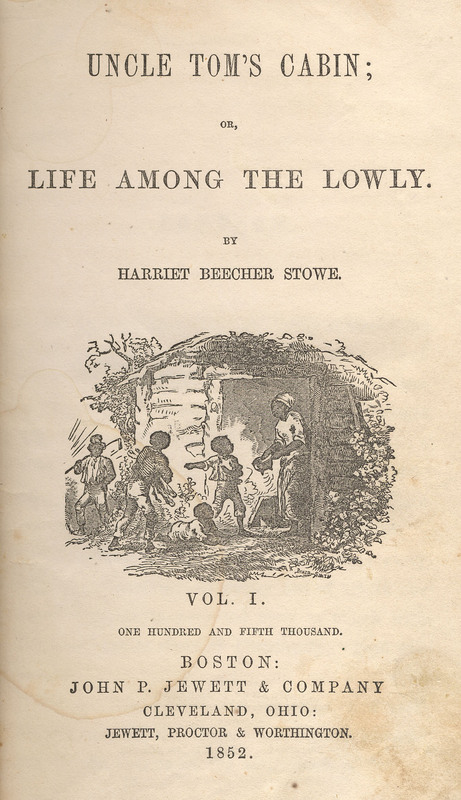 The book was hugely popular in the nineteenth century and helped fuel the abolitionist movement leading up to the Civil War, but it also popularized many negative stereotypes about African Americans. We’ll meet to discuss the book on Tuesday May 22 at 7 pm at Greenfield Hall, 343 Kings Highway East, Haddonfield. All are welcome!